Mother’s day also happens to fall in the crux of spring, when the blooms are blooming and the birds are back to enjoy the moderate Canadian temperatures. 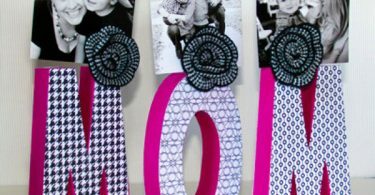 So, it only seems fitting that when you select a gift for your mother, it should portray the rejuvenated energy of the season, as well as your plain ol’ appreciation for all she does. 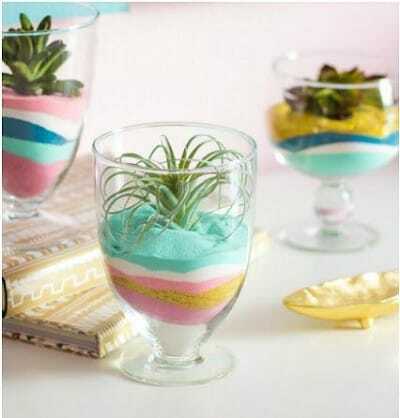 A succulent really does suit any occasion, (or non-occasion) DIY your own terrarium using glassware, colorful sand, and of course, a succulent. 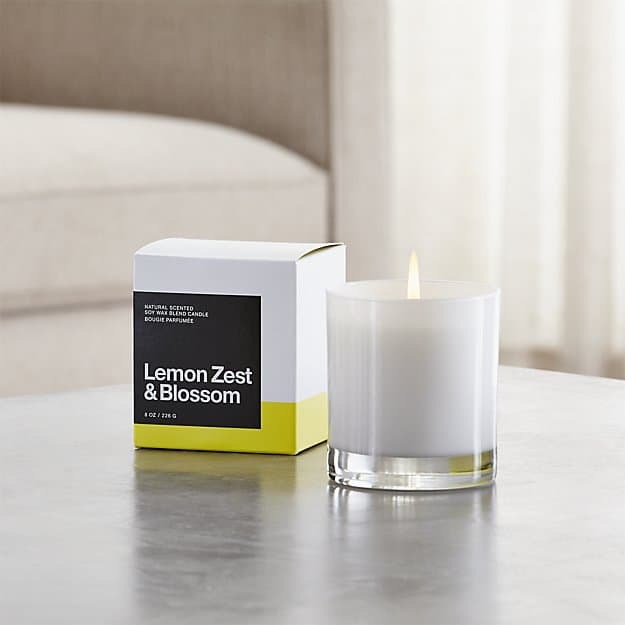 A Lemon Zest and Blossom Scented candle from Crate and Barrel’s collection of hand-poured, soy-blended candles is bound to transfix your mother’s olfactory system with it’s mixture of orange, jasmine, sweet lime, cashmere musk, sandalwood, cedar, and — as advertised — zesty lemon and bergamot blossoms. 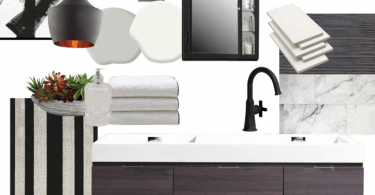 Other fragrances from Crate and Barrel include Peony and Lotus, Verbena and Oakmoss, and Eucalyptus and Violet. Buy the Lemon Zest and Blossom scent Here. Use your mom’s initials, her full name, or any rendition of a material nickname to begin this blooming venture. 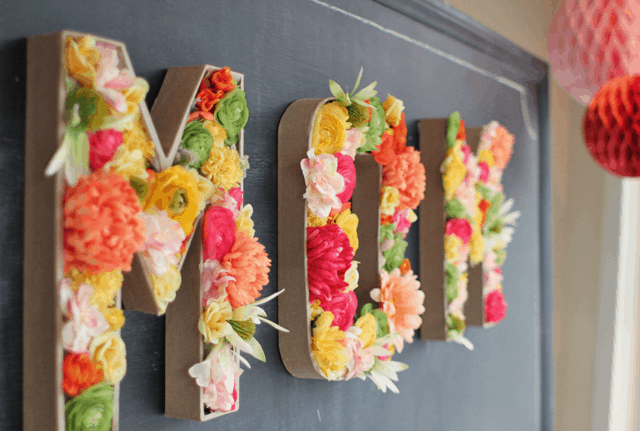 This DIY, courtesy of Urbanic Paper Boutique, is perfect to display in your front window, particularly if your mom happens to be visiting on mother’s day — this gorgeous, spring-y craft will be the first thing she sees. If your mom has a sweet tooth, rather than a green thumb, why not whip up a boutique with an edible twist. 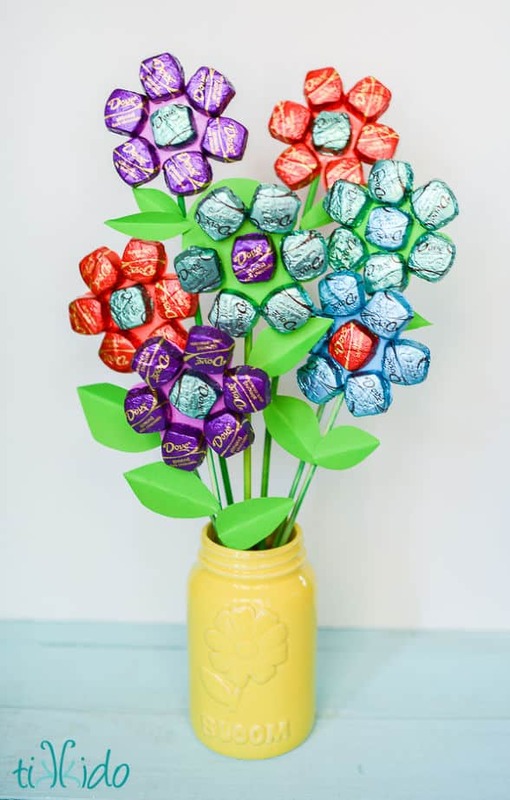 Personalize this craft using her favorite treats and chocolates.